The trace of a lynx track is slightly asymmetrical since the inner of the two middle toes reaches far forward. The track is also quite large – length of forepaw 7-9 centimetres..
Because of the sole that is hairy in winter the contour of the track is fuzzy. 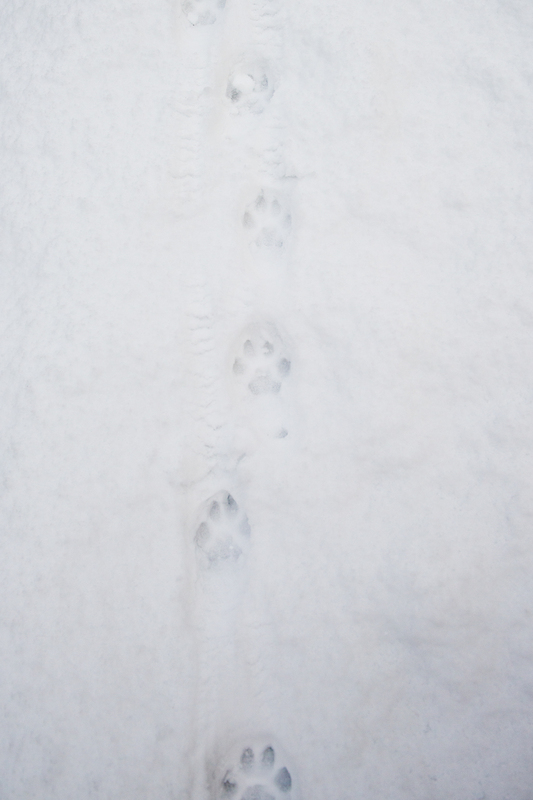 In deep snow the lynx steps with the hind paw into the track of the forepaw. Some lynxes evidently know from earlier experience that the tracks left on snow may be betraying and must be hidden. There are many tricks. Here I describe one: moving on the bottom of a trench the lynx passed under a broken tree trunk and continued moving in the same direction for almost 500 meters. Then it climbed up on the trench verge and circled around there. Preferably at a windfall. Then it returned to the trench and stepped into the same tracks approaching the tree that had fallen on to the trench. From there it made a skilful jump on to the trunk and continued its trip in the desired direction. The pursuer, generally a dog or a human, wastes time at the windfall and cannot decide where the ”forest cat” disappeared. If a forest hiker is lucky and comes across the tracks of a lynx and has time to study them it is worthwhile following them. There is no danger and it will not disturb the lynx particularly much. If the lynx is nearby it may observe our doings with lofty tranquillity. Now and then it is worthwhile to inspect the surroundings at the height of a lynx’s head and try to understand why it behaved in one or another way. 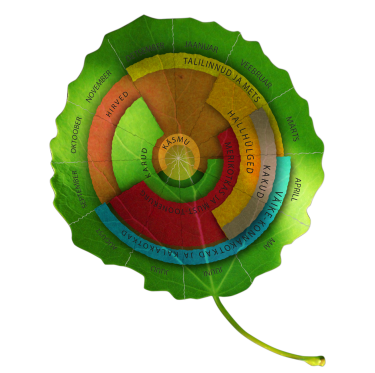 So the store of our experiences will become richer and the love of forest deepen. Wishing you exciting meetings with lynxes!